HomeRun is a simple Apple Watch utility for controlling HomeKit scenes from your wrist. Where Apple’s Home app for the Watch can be clunky to navigate, especially if you have more than a couple HomeKit devices set up, HomeRun makes controls easily accessible for all your scenes. 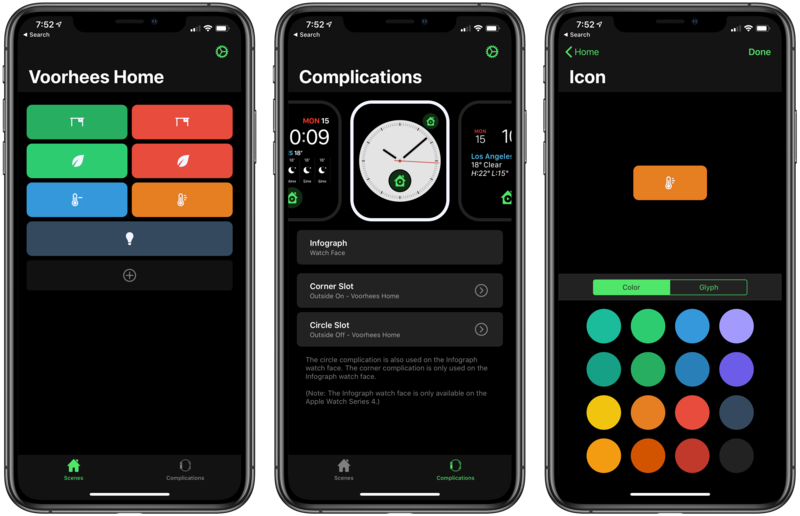 And today, with version 1.1, HomeRun has introduced custom complication creation, making it possible to have different launcher complications for each of your configured scenes. 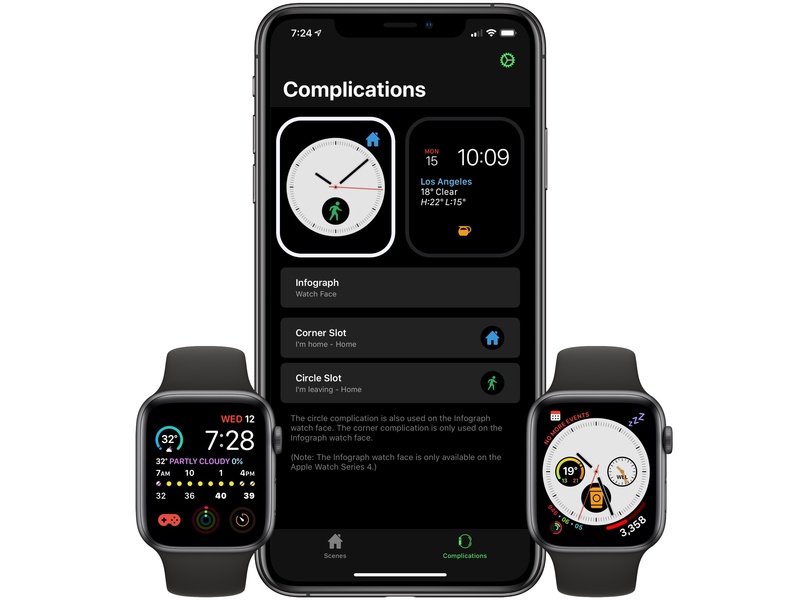 Inside the HomeRun app on iPhone, the Complications screen in version 1.1 appears largely the same at first glance, but once you start tapping around you'll discover that Watch complications are now fully customizable. Visit the detail view for a specific watch face and you'll be able to update any and all complications for that face with custom colors and icons to accompany your selected scenes. The Series 4 Watch's Infograph face, for example, presents options to customize both the corner slot and circle slot complications. Creating custom complications works just like setting up scenes for the main Watch app itself, with the same set of colors and glyphs available in both places. That means the excellent assortment of glyph options for scenes are all accessible as complication icons as well. When it launched last month, HomeRun enabled adding scenes as complications to your watch face, but you had to use the app's icon for each complication. Custom complications were a natural next step for the app, and I'm thankful we didn't have to wait long for them to arrive. HomeRun 1.1 is available on the App Store. HomeRun is a simple, elegant utility for triggering HomeKit scenes from your Apple Watch. 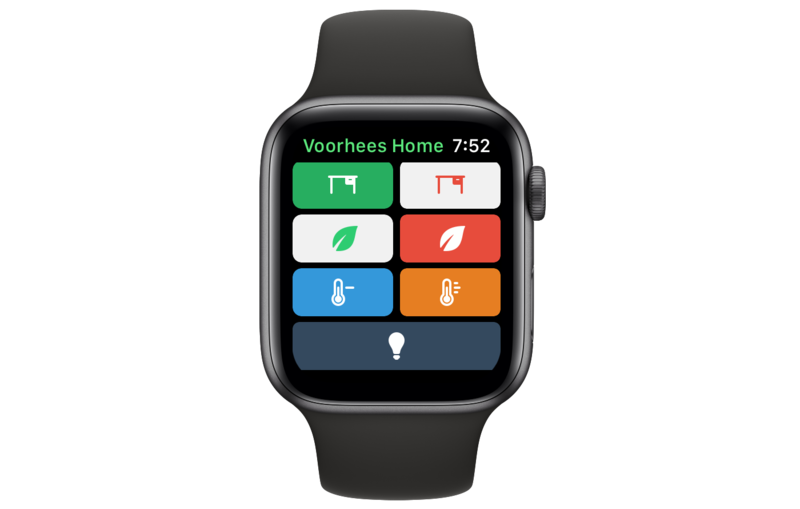 Through a combination of color and iconography, HomeRun developer Aaron Pearce, who is the creator of other excellent HomeKit apps like HomeCam and HomePass, creates an effective solution for accessing HomeKit scenes from your wrist. 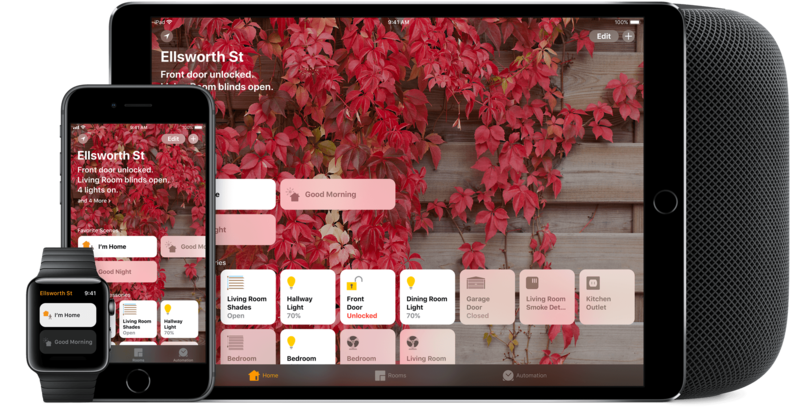 It’s a user-friendly approach that’s a fantastic alternative for HomeKit device users frustrated by Apple’s Home app. Apple’s Home app is hard to use on the Apple Watch. First, when you open Home on the Watch, it’s not clear what you’re seeing. Home presents a series of card-like, monochrome scene and accessory buttons that you scroll through one or two at a time. Although the app doesn’t say so, these are the favorite scenes and accessories from the Home tab of the iOS app. That makes the list customizable, which is nice, but the app should do a better job identifying where the user is in relationship to the iOS app. Second, although you can rearrange your Home favorites to reorder them on the Watch too, you can only see two scenes or one accessory at a time. Depending on how many favorites you have, that limits the Watch app’s utility because a long list of scenes and accessories requires a lot of swiping or scrolling with the Digital Crown. HomeRun avoids this by eliminating text and relying on color and iconography to distinguish between scenes. The app is also limited to triggering scenes, reducing potential clutter further. 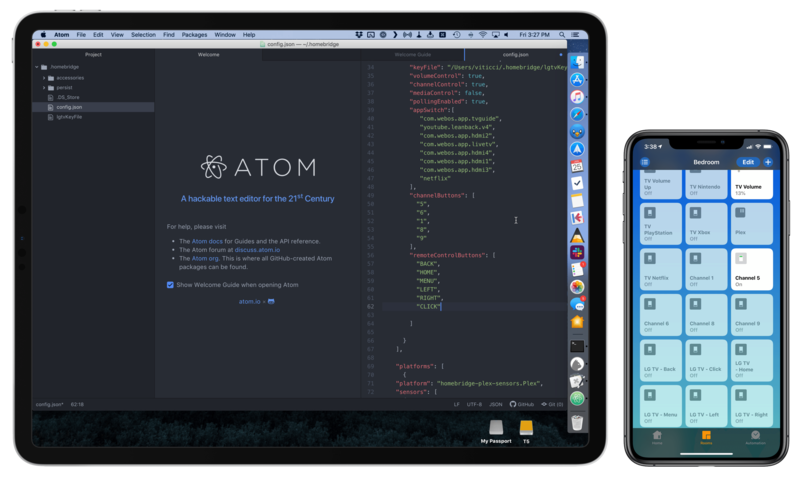 The approach allows HomeRun to display up to 12 scenes on a single screen of a 44mm Apple Watch compared to the two scene buttons that Home can display. If you set up more than 12 scenes, they are accessible by scrolling. I previously covered HomeCam, a HomeKit utility by indie developer Aaron Pearce, as a superior way to watch live video streams from multiple HomeKit cameras. 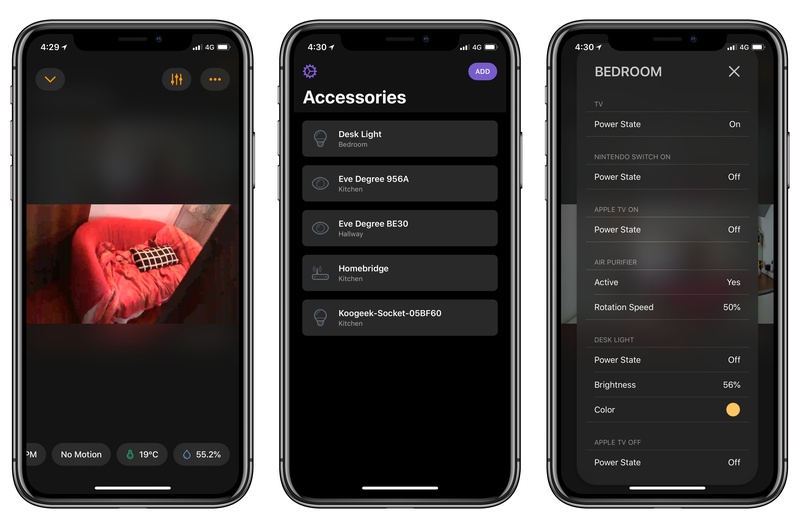 In addition to a clean design and straightforward approach (your cameras are displayed in a grid), what set HomeCam apart was the ability to view information from other HomeKit accessories located in the same room of a camera and control nearby lights without leaving the camera UI. 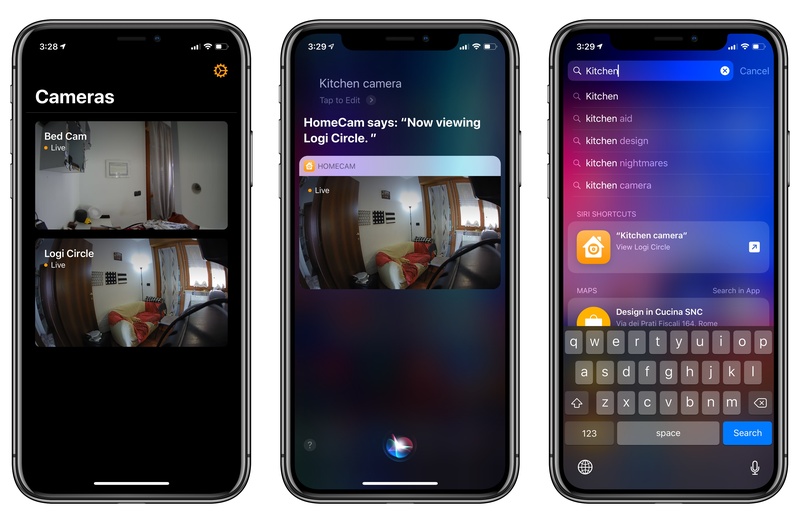 Compared to Apple's approach to opening cameras in the clunky Home app, HomeCam is a nimble, must-have utility for anyone who owns multiple HomeKit cameras and wants to tune into their video feeds quickly. With the release of iOS 12, HomeCam is gaining one of the most impressive and useful implementations of Siri shortcuts I've seen on the platform yet. Competition among companies like Apple, Google, and Amazon has led to a vast array of high-quality device and service choices for consumers. However, numerous options cause some people to pick one company and go all-in on its products and services for simplicity, while others remain on the sidelines waiting for a winner to emerge. Just as the lack of deep Google and Amazon integrations on iOS hasn’t stopped most of us from using the Google Maps and Kindle apps on our iPhones, mixing and matching devices and services from different vendors can be a completely viable strategy depending on your particular home and familial needs. Of course, there are downsides – heterogeneous setups are more complicated, redundant, and inconsistent – but what you lose in simplicity, you gain in flexibility and optionality. And I hate to break it to you, but there’s likely never going to be a “best” setup much like how Google’s services are likely never going to integrate with iOS as deeply as Apple’s. Irace’s point is more relevant now than ever as smart home devices, voice assistants, streaming services, and other technologies multiply every year. The fierce competition among today’s tech giants means no one company is going to have the best approach to any one product category. The key to mixing and matching though is understanding which devices work together and where services overlap, so you can piece together a combination that suits your needs.